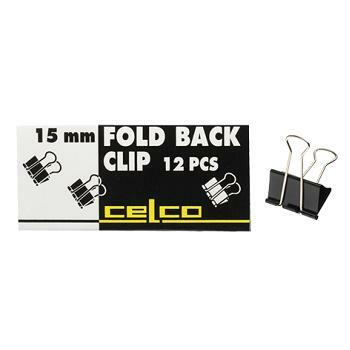 Also referred to as fold back clips. Levers fold back out of the way to take up minimum space when filing and are not covering what is on the documents. Strong spring steel really grips hard to hold paper firmer than other grips. Ideal for holding papers together. Strong spring steel grips firmly while levers fold away for easy filing. 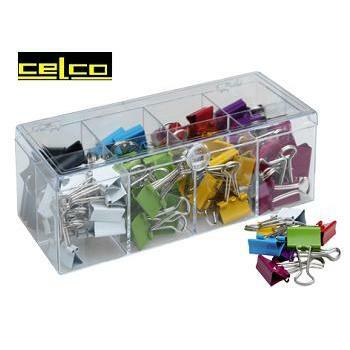 Size - Box of 12 clips each 15 mm. 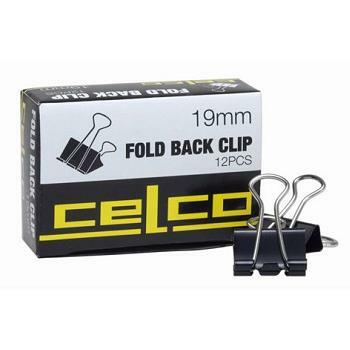 Size - Box of 12 clips each 19 mm. 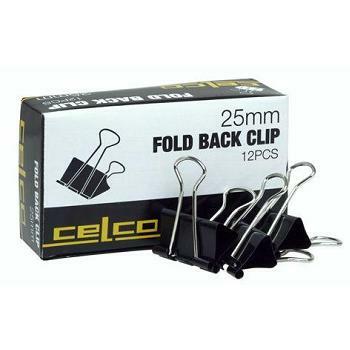 Size - Box of 12 clips each 25 mm. 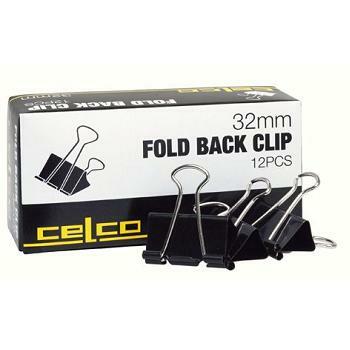 Size - Box of 12 clips each 32 mm. 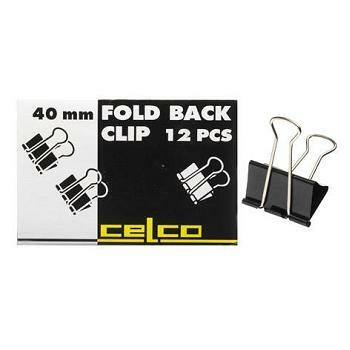 Size - Box of 12 clips each 41 mm. 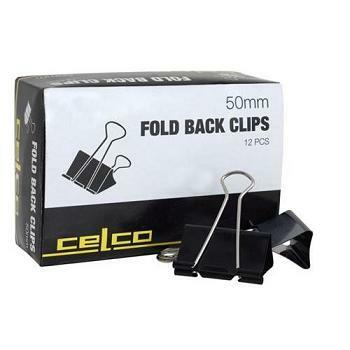 Size - Box of 12 clips each 50 mm. Keep your filing organised - assign different colours for different tasks. Box of 96 includes 8 colours: Green, Red, Pink, Yellow, White, Blue, Black and Orange. Comes complete in a sturdy plastic reusable container with compartments for each colour. 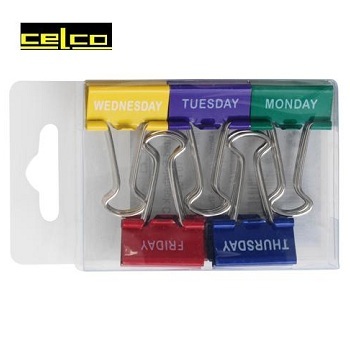 Keep your filing organised - assign a different clips for each day's tasks. 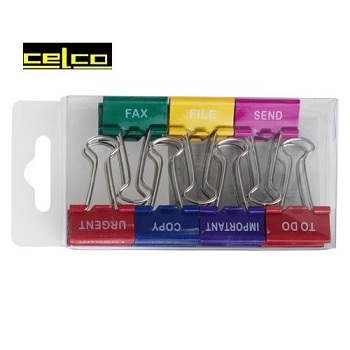 Pack of 10 includes 5 colours: Green, Red, Purple, Yellow and Blue. Each clip printed with two titles, MONDAY/1, TUESDAY/2 etc. so you organise your workload by Monday to Friday and/or from 1 to 5. Keep your filing organised - assign a different clip to each task.. Pack of 14 includes 6 colours: Green, Red, Purple, Pink, Yellow and Blue. Each clip printed with a title to keep you organised, i.e. TO DO, FAX, FILE, URGENT, IMPORTANT, COPY and SEND.